The Horticulture department of Meghalaya have started apple plantation at Mylliem and Nongkrem. After strawberry cultivation, Meghalaya is experimenting with apple plantation in parts of Khasi Hills. To initiate apple plantation in Sohiong, a workshop was inaugurated by MLA Sohiong, Samlin Malngiang at Wahlang village to encourage farmers to take up apple plantation. He stated that a scheme will be set aside for apple plantation after a research found that the climatic condition in Wahlang is good for apple plantation and urged the residents to take the opportunity of the workshop. The Khyndai Kyntoit Social and Cultural Organisation (KKSCO), Wahlang (Nongspung Syiemship) organized a two-day Apple Plantation workshop on Thursday and Friday. 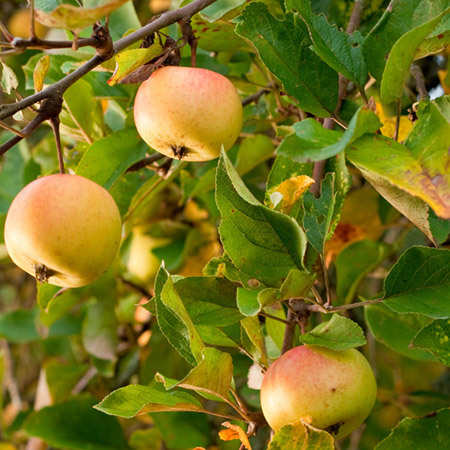 Planning Officer, David Kharlukhi said that apple requires chilling hours of about 1000 hours and said most of the apples seen in the state are from Himachal Pradesh. The general secretary of KKSCO, Ambrosius Lyngdoh, said the organisation has an intention to uplift the agriculture in the area. Malngiang also planted an apple tree on the occasion. The 120 people who attended the programme, are hoping that apple plantation will boost the agriculture in the area since the people mostly cultivate potatoes, paddy.